Many of the tour operators in Beijing are scams. It's unfortunate, but it's part of the reality of traveling in China. You'll find they not only charge a great deal more than you'd pay to do the trip on your own, but they often have "affiliates" along the route where they force you to stop and shop. Fake jade factories are a common pit stop on the way to the Great Wall for scam tour operators. So, if you want to avoid the hassle of being taken for a ride, just plan the tour on your own. Beijing is a tourist-friendly city and all sites can be reached via public transportation for quite cheap and mostly hassle free. Year-round these top spots are open, but you'll find that the summer months are sometimes unbearably hot and the sites are overcrowded. Additionally, July and August are monsoon season prime-time, so you'll get drenched at least once in any two week period. That makes spring and autumn the two prime seasons for visiting Beijing. 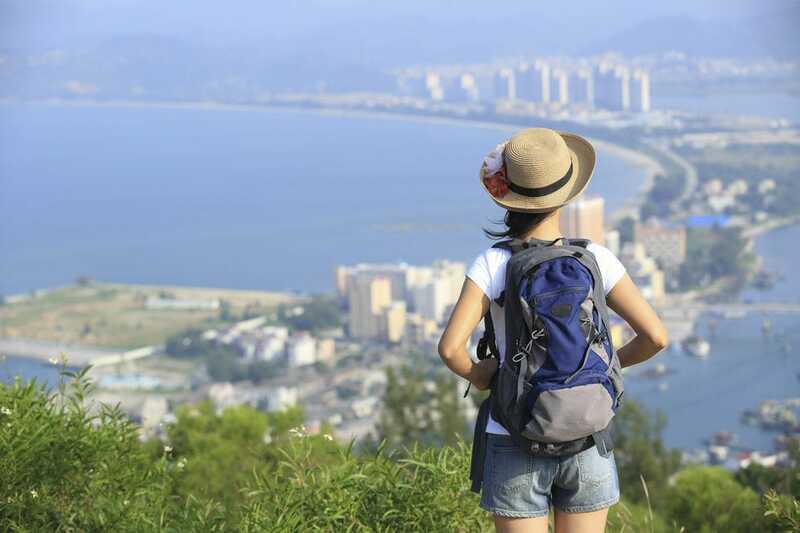 You'll have more elbow room, hotel prices will be lower, and you'll avoid the humidity, monsoons and crowds. Beijing has a little bit of something for everyone. But regardless of why you are in Beijing you'll have to see the Great Wall and Forbidden City. No world-traveler's passport of coolness is complete without these two spots. But it isn't that simple, either. 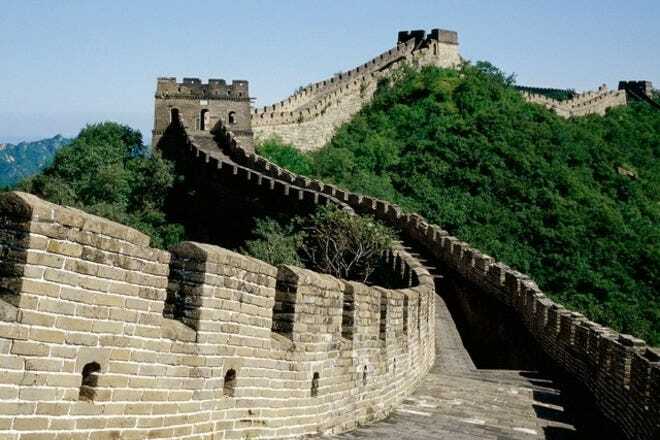 The Great Wall is several thousands of miles long. Where exactly should you go? We recommend Badaling for ease and proximity, though you'll be sacrificing a bit of authenticity. Mutianyu is more authentic and less touristy, but your ride out to the site will be a bit longer. Fortunately, the latter has fewer tourists to compete with for wall space and beautiful views. When it comes to the Forbidden City, don't skimp. Get a map or else an audio guide. 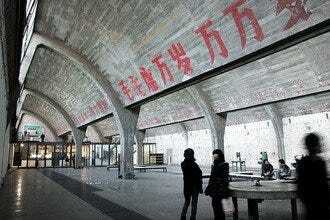 Avoid the Chinese guides at the entrance who are ill-qualified and promise an informative tour. They will rush you through the sites and repeat what it written on the signage. The audio-guide, however, is quite interesting and informative. A lovely day outside the city can be spent at this exquisite palace where the later Qing rulers (notably, the Dowager Empress Cixi) relaxed in idyllic splendor while their empire collapsed around them. Built from 1749 to 1764, the Summer Palace is set around the lush Kunming Lake and is a popular spot for Beijingers to get some fresh air. 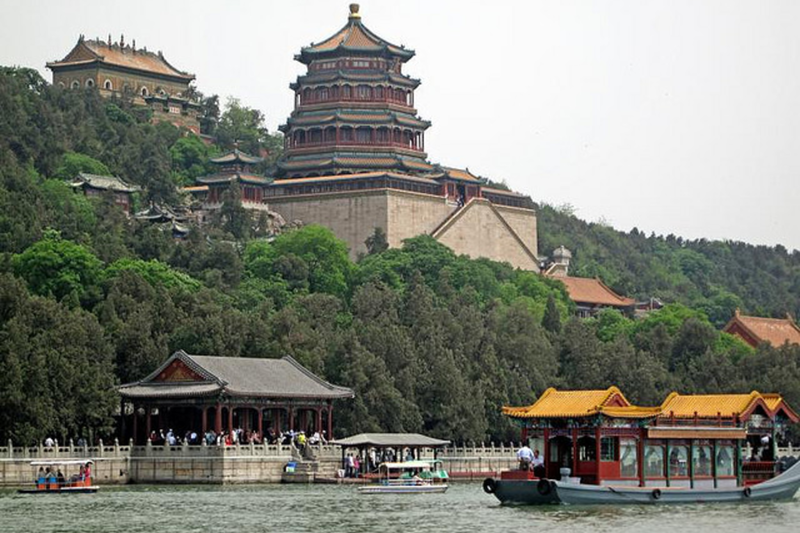 Interestingly, there is now a boat service via canal to the palace from Beizhan Houhu Matou. Ideal for a family day out or a picnic. Close to the business zone of the city, this lush park has plenty of restaurants and cafes to relax at and is particularly popular on summer days. You'll also find the Temple of the Sun here. Built in 1530, it once served as an altar where the emperor conducted annual sacrificial rites. Nowadays, Ritan is good for walking, jogging and tai-chi; it has a rock-climbing wall, fishponds, a pedal-powered monorail, kite-flying and a bonsai market. For about 500 years from the 15th to 19th century, the Chinese emperors would lead processions on every winter solstice to the Temple of Heaven to perform rites and make sacrifices for the God of Heaven in order to be blessed with a fortunate coming year and a big harvest. Head to the magnificent site, situated five kilometers south of the Forbidden City, to reminisce the once powerful and spiritual Chinese empire. There are a number of structures within the park, such as the Imperial Vault of Heaven and the Circular Altar, but the Hall of Prayer for Good Harvests is the centerpiece as this was where the ritual of praying took place. The the 38-meter-tall three-tier building is a true architectural gem. The roofs are covered with blue crystal glasses and observe it from inside, you'll notice that not a single crossbeam was used during construction. 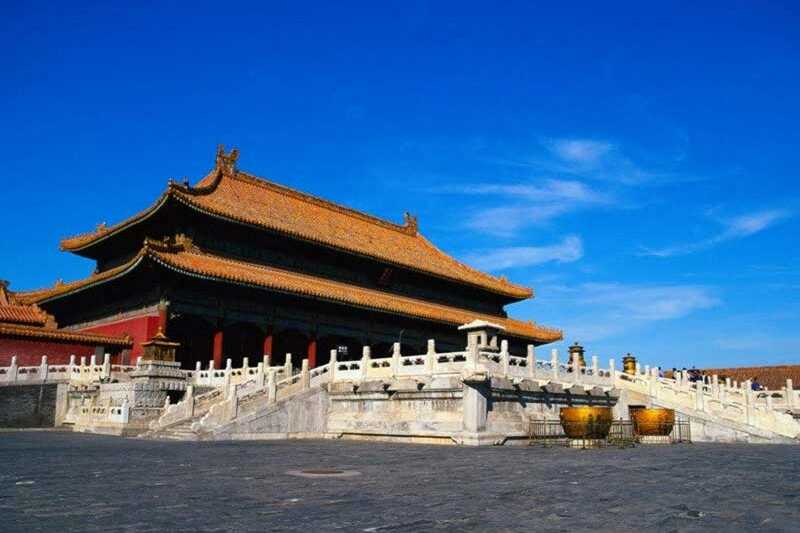 Even if you are in Beijing for only one day, you should not miss the Forbidden City. So called because it was out of bounds to all but the emperor and his court for 500 years, the imperial places are set among a huge complex of largely wooden palaces that housed 24 emperors. With stunning architecture and historical motifs from the Qing and Ming dynasties, the Forbidden City is your one-stop guide to Chinese history. Guided tours are available and well worth it. Leave plenty of time and be prepared for a good walk as you browse through this wonderful 200-acre site. Nanluoguxiang is a community of restored traditional homes and business located in the heart of downtown Beijing. It was once a thriving community of single-story traditional homes with an alleyway down the center for shops, restaurants and meeting points. Today, the main street features more modern bars and shops, but retains the hutong feel. 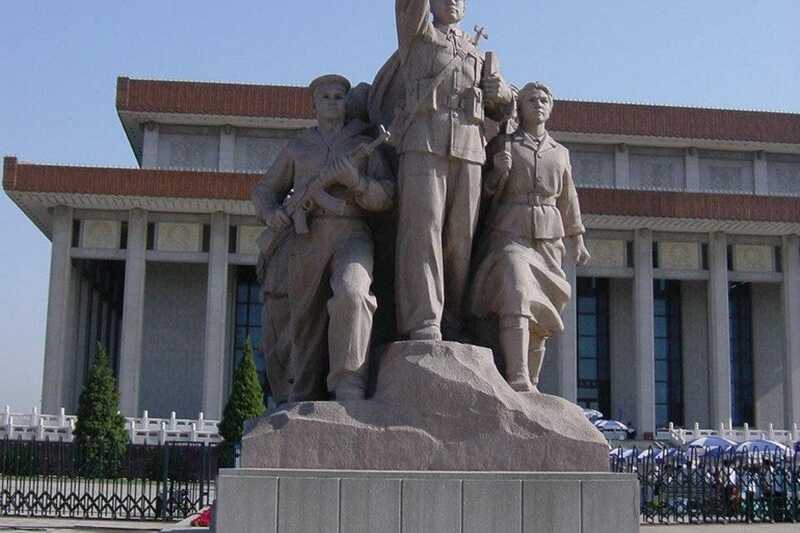 This is the quintessential Chinese museum that, unlike the historical sites which concentrate on the dynasties, retells all the tales from Mao's communist revolution. See movie clips and memorabilia and even a wax exhibition. The largest plaza in the world is situated in the heart of Beijing. To the north lies the Gate of Heavenly Peace and the Forbidden City, and in the south of the square, the haunting mausoleum of Mao Zedong, where the late chairman's preserved body lies. You can visit this macabre attraction free of charge (no photos, no bags). Tiananmen Square is, of course, the spot where the government of Deng Xiaoping confronted hundreds of students and pro-democracy activists in the summer of 1989. 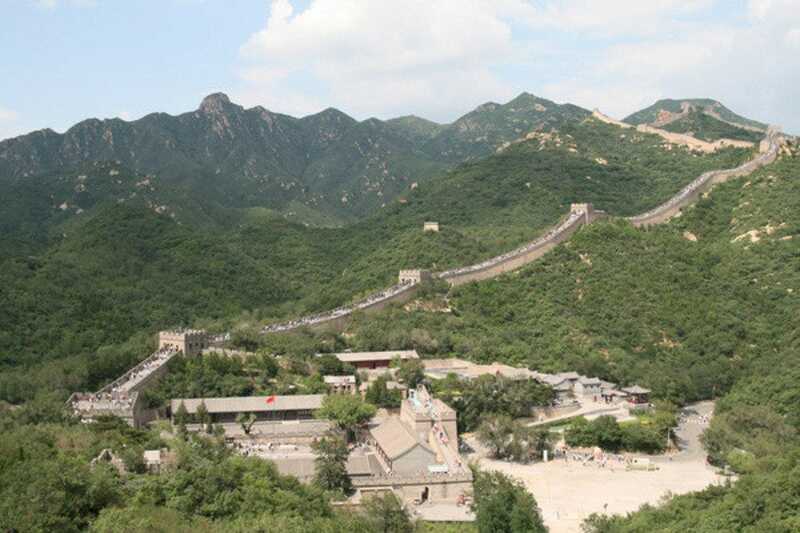 A must-do for all history buffs, the Ming Tombs are often combined with the Great Wall as a one-day tour. There are 13 Ming Dynasty imperial tombs in this 40sq km (15 sq mile) necropolis, situated at the base of the delightfully named Mountain of Heavenly Longevity. Built between 1409 and 1644, three of the tombs are open to the public, but only one, the Tomb of Emperor Wanli (Dingling), the 13th Ming emperor, has been fully excavated and laid out for visitors. Separate admission fees apply to each tomb, plus an additional charge for the Ming museum. Lauren has been living in Asia for the past five years. She holds a master's degree in Asian history. Lauren spends her free time reading, writing and traveling and visiting zoos in every city possible.